Streaming networks are proving to be a huge success. With Netflix, Amazon, and Hulu, all creating their own original content, cable networks and broadcast TV seems to be on the losing end of the competition. 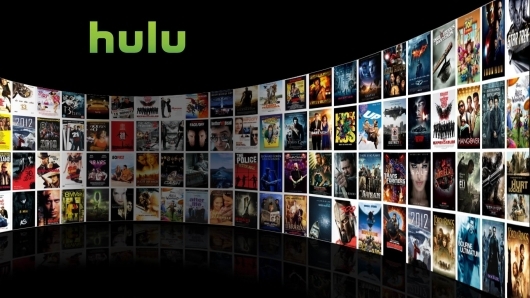 But what sets Hulu apart from Netflix and Amazon is the fact that they can air your favorite TV shows the very next day, and with a paid subscription, you can watch full seasons of those shows anytime you want. Of course, with an option like that at your disposal, why even bother why paying a cable subscription at all? HBO figured that out with their on-demand service HBO Go. But now it looks like the option to watch your favorite shows the very next day could be eliminated as Time Warner Cable is currently considering purchasing 25% of Hulu. The reason is because Time Warner believes that Hulu airing full, current seasons anywhere outside of the pay TV is harmful to their business. More on the story below. A new Time Warner Cable ad helps remind us that the second half of season three of The Walking Dead debuts on Sunday, February 10th. The new ad features a housewife talking on the phone cleaning a fresh bloodied blade, telling her daughter not to feed the walkers, while there are a few of them roaming through the halls of her own home. But it’s not the dead who should be afraid of this mom; it’s a certain fan favorite character. Find out who in the video below.